Don’t worry if your phone is broken, you can still sell broken cell phones on SellCell.com. You are also not alone as lots of people break their phones. A recent survey of 2000 people by iMend.com, the mobile phone phone repair company, showed that as many as 40% of people are walking around with a broken phone with as many as 21% of people using a phone with a cracked screen. It very easy to sell a broken phone or tablet on SellCell. All our cell phone buyers buy broken phones and tablets. The reason they do this is because they will generally repair and refurbish phones before selling them on. So for instance if a phone comes in with a smashed screen this is not a problem because they will replace the screen and refurbish the device before re-selling it. Choose the best deal and click ‘Sell Now’. Follow the instructions to send your device to your chosen buyer. Then all you need to do is sit back and wait to get paid! How do i know if my phone is classed as ‘Working’ or ‘Broken’? Sometimes it can be difficult to decide which category it falls under. If in doubt we would advise selling it as ‘Working’ as the buyer will contact you if there is a problem, that way you can always be assured of getting the maximum value. When the buyer receives your device they will test and assess it and if the condition is different to what you stated then they will contact you and may give you a revised offer based on the condition. How much can i get for a broken phone? It depends on the level of damage. If your phone is damaged you are never going to get full value but you could generally get up to a maximum of 80%. This is for minor damage, if the damage is really severe you will likely get a lot less. Once the buyer has assessed the device they might contact you to give you a revised offer if the level of damage is worse than the condition stated. Using SellCell we compare prices from all the buyers in the market to get you the best deal when selling a broken phone. 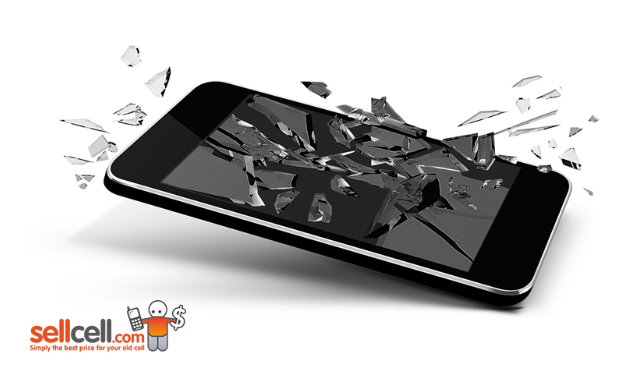 At SellCell we have made it easy for you to sell broken phones for cash at the best possible price. So if you want to sell a broken phone SellCell can help you get the guaranteed most cash. Go to SellCell.com and sell your broken phone today!